An air filtration system from RainSoft can be a boon to allergy sufferers, cat owners, and others who share their homes in Orlando, Florida, with pets. Years ago, many people were forced to rehome their beloved animal friends when severe allergy symptoms got the best of them. This is no longer the case. RainSoft, a global leader in the air and water treatment industry, has designed effective home solutions for removing pet dander and odors, as well as a host of other indoor air contaminants, from the whole house. Cats – Many cat lovers are unfortunately allergic to felines. But, contrary to popular belief, the most common allergies do not stem from the animals’ fur. Rather, it is an allergen contained in their saliva that is transferred to their fur when they groom, and then dispersed into the air after it dries. Birds – Bird feathers are interlocking, and each time a bird moves, the tiny barbs that hold its feathers together rub against each other to produce a super-fine dust. Dogs and other furry friends – The saliva of dogs, guinea pigs, gerbils, hamsters, and other pets also contains allergens that transform into tiny airborne particles when the saliva dries. 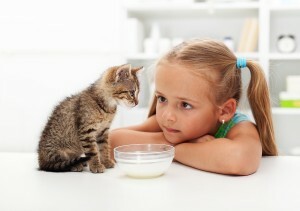 Pets can enrich your life and become true members of your family. Some people might be surprised to learn, though, that birds and furry companions are not the only sources of airborne allergens that can be addressed by an air filtration system. Humans, too, continually shed hair and skin. In fact, according to the U.S. Environmental Protection Agency, the air in the average home can be 4 to 40 times dirtier than the air outside. To breathe easier – with or without pets – at home, clean air is key. And, the key to clean air is the RainSoft AirMaster Ultra air filtration system. Contact an authorized RainSoft dealer in Orlando, FL, today to learn more about the benefits of having an air filtration system professionally installed in your home.